There are only five days of the fundraising campaign left, and nearly $20,000 still to be raised for this important, humane and uplifting film project. Niam Itani was born and raised in Beirut and Ghazzeh in Lebanon. The Lebanese Civil War lasted 15 years, consuming 9 years of her childhood. 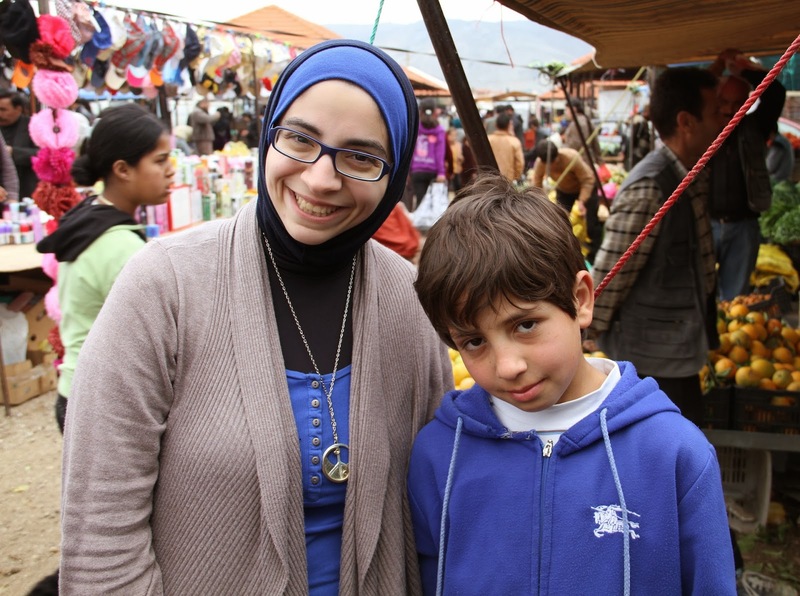 "I witnessed several periods of unrest and violence in Lebanon throughout my childhood and adult life," she tells me. "I’ve had to abandon my city and home with my family several times due to these conflicts; the longest of which lasted five years in the Bekaa Valley - a rural area of Lebanon - in a village called Ghazzeh." "In 1989, my parents left Beirut for a small village in the Bekaa Valley called Ghazzeh. I was eight years old. "In 2012, Khalil's mother left Syria and took refuge at our house in Ghazzeh. Khalil was ten years old. "This film tells the story of my friendship with Khalil, and our efforts to find hope and joy in the midst of madness and despair. It is also a personal reflection on childhood, nostalgia, home, belonging, memory and war." "Seeing these two conflicts happen in such a short period of time in history and in two neighboring countries is heart wrenching for me. The most devastating part is that I am forced to watch more children grow in the same damaging conditions that my generation grew up with. This is not another film about children who are orphaned, hungry or homeless seeking food and shelter during war. This is a film about children with caring and loving parents, coming from middle class families like most of us, but finding themselves in the cruellest human condition of all: war." "By telling this story, I hope to bring more understanding and awareness about this issue and to mobilize additional psychological and material support for children refugees around the globe. "On July 31st, 2012, Khalil's family crossed the Syrian Border into Lebanon to flee the armed conflict in their country. My mother gave them refuge at our summer property in Ghazzeh, in the Lebanese countryside. That is where I met Khalil (12 years) who would later change the course of this project, and therefore, my life. "But the journey of this film started much before the arrival of Khalil's family to Lebanon, and before the Syrian Crisis altogether. "It began in 2010 as an attempt to fill memory blanks pertaining to my childhood during the civil war in Beirut. I was searching for "nice memories" during the period between 1980 and 1989, which seem to have vanished from my memory." "During our regular visits to Ghazzeh every weekend in 2012, I started to help my mother in providing food and shelter to refugee families. It didn't take long to notice that the plight of refugees in the village was too identical to our own strife in the exact same place, two decades earlier. "Since Khalil's family technically lives with us, an unorthodox but very special friendship grew between me and him. My witnessing of his daily struggle in the beautiful locale of my childhood served as a wake up call for me. I felt that Khalil was re-living my past right in front of my eyes. And this time I could document it, not only for myself but for the whole world. "Something was urging me to bring my camera and film the bond that was developing between me and Khalil. A bond built on sharing the war related traumas and many common personality traits. As in many other documentary projects, when I first started to film I didn't know what I was specifically after, but the pieces quickly started to fall in place." All principal filming on Twice Upon a Time is now complete. To arrive at this point, Niam has used her own resources and those of her family, friends and friends of friends. The "urgency, intuitiveness and unfolding of the story on a day-to-day basis", she says, obliged her to focus on shooting the film rather than file applications for production support and/or waiting for financial backing from film funds or institutions (which is the classic route). The film team now need your support to raise a minimum of 35,000 USD for this project. These funds will cover part of the post production process and allow them to hire an editor, a sound designer and other artists and technicians to create a fine cut of the film. Once they have that fine cut, they can use it to apply for post production funds from regional and international film bodies. When I became aware of the project, via an introduction from film-maker Marian Evans, I had to find out more about this skilled and impassioned artist, who studied for her BA in Communication Arts and a Masters Degree in Education from the Lebanese American University in Beirut, then pursued an MFA in Screenwriting from Hollins University in Virginia, USA. She made her first professional documentary in 2001 for a conference at university when she was an undergraduate. It was a short film entitled Ghareeb (Stranger). In 2005 Itani completed a second short documentary, Zakira Mubsira (A Foretold Memory). Between 2005 and 2010, she got the chance to expand her documentary skills while working at Al Jazeera Channel in Qatar as a Programs Producer. At Al Jazeera Itani worked as assistant producer on the critically acclaimed series Al Nakba and went on to make her first feature documentary, Rokam Al-Bared (Ruins of Al-Bared), a documentary about the destruction of a Palestinian refugee camp in North Lebanon. Her last short film, Super.Full. (2010), played at several film festivals including two Academy Award Qualifying festivals and the Venice Film Festival. Itani's feature narrative project entitled Shadow of a Man, is currently in pre-production and has been selected at multiple regional and international film venues. In January 2013 she co-founded placeless films, a film production company in Beirut, Lebanon. As part of placeless films, Itani also recently launched ScriptExperts, a specialised story & script service catering primarily to writers and filmmakers in the Middle East. "The original idea was a personal documentary project, that I started to work on in 2010 – a journey to document my own memories as a child, some of which were very vivid and some missing. I was going to interview family members mainly and try to fill in the memory blanks. This idea took a major turn; however, when Syrian Refugees started coming into Lebanon in 2012. The uncanny similarity of circumstances forced me to shift my focus to the “story” unfolding right in front of me in the present. A present that will be embedded in the memories of this new generation of children refugees. Twice Upon a Time was born." "[As explained above,] the film is the story of my friendship with Khalil, a Syrian boy who had to leave Syria with his family in 2012, and took refuge in Ghazzeh (the village where we took refuge in 1989) as well. On a second level, it is the story of Khalil’s family and their recent experience of refuge and the story of my family’s experience of refuge 23 years ago and how similar are the challenges that we used to go through as children. On a third level, this is a film about hope, memories, childhood, nostalgia, and the notion of home." "The film seeks to bring many issues to the fore. Some of them are everyday issues of refugee life like finding shelter, food, health-care, schools and a good environment to live in whether on the level of infrastructure or on a social/interpersonal level, and potential work and education opportunities for family members. Important issues that I want the film to call attention to is the children mental and psychological health during refuge, protecting them from witnessing additional trauma, and encouraging them to have hope, to give them opportunities to play and to pursue their education and bring their dreams closer to reality. Another major issue is the lack of compassion for the incoming refugees among host societies – Lebanon in particular. We won’t be delivering any of these messages to our audience but want them to see for themselves." "The sources of hope for the Syrian children today lie within us, those who were children during times marked by war, hatred and destruction; and yet we made it to become successful and active individuals in our society today. I’d like to think that I give hope to Khalil when he appreciates what I do today and realizes that I lived most of my childhood years in conditions similar to what he is living through now. Hope lies in sharing the lessons that we learned from our own war, and stressing the importance of education, understanding others and working towards a better future." "The film is a very personal and intimate story. In the film, the main people who speak are Khalil (he talks to me), myself (through narration and through talking to him), his mother, and my mother. We are exploring ways of partnering with International NGOs to carry this message through a concerted campaign, to raise awareness among both host societies and refugees, particularly across Lebanon, Jordan, Turkey and Syria. While this is the grand plan, we need more players and commitment to make this happen. On a more granular level, my sincere hope is that this film will touch people, irrespective of where they are, by sharing the message of understanding and compassion on a more individual human level." "Mahatma Gandhi once said, 'If we are to teach real peace in this world, and if we are to carry on a real war against war, we shall have to begin with the children.' I have witnessed war as a child. Once it marks you, it will be very difficult to erase that mark. So the best thing to do is to utilize that effect and make it a tool for peace, love and understanding." "I would like for viewers to put themselves into the shoes of the refugees, even if it is only for one day or one hour, and take into account the life that they must’ve been forced to leave behind. Their arrival as refugees in a new town or a new country is marked mostly by more hardship and challenges at the very basic level. I want this film to break many stereotypes, to spur people in societies that have refugees to accept them as fellows in humanity, to smile at them – if not for anything else. Ideally, I want people to help refugees wherever they are, to encourage them and support them in any way possible. We were there yesterday, they are here today, nobody knows who it could be tomorrow." "I would like to bring a future of stability and safety to the children of Lebanon and Syria. One where bombs and bullets are considered dangerous accidents, not everyday life happenings. I want them to have the luxury to play and study without being forced to grow up so fast and carry more responsibilities and burdens than they are forced to do now." The fundraising campaign for Twice Upon a Time is here. There are just five days left. If you like what you've read here, please support this vital project, which speaks to all those across innumerable countries, generations and cultures who have suffered displacement, conflict, societal breakdown and the fallout of violence and find themselves having to forge new lives as strangers - often traumatised, often mistrusted - in new places. With gratitude to Niam Itani for granting me her time and wisdom. Quoted campaign text (c) Twice Upon A Time. 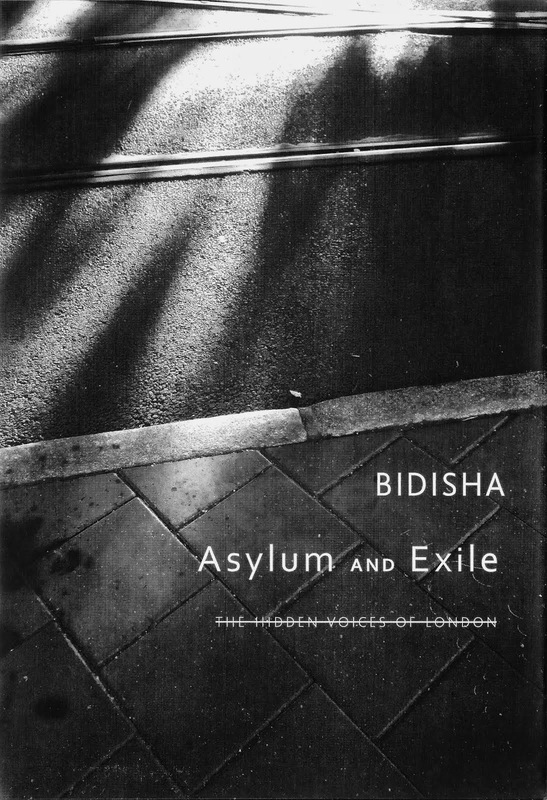 Bidisha is a 2013 International Reporting Project Fellow reporting on global health and development. All text (c) Bidisha except when stated otherwise. Simple theme. Powered by Blogger.